How I happened upon the first that led to the second that led to the others I do not remember. 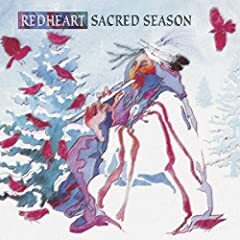 But when I heard the first one (which ever that one was), I was convinced that this year's personal Advent listening will come strongly from this Indian Christmas music. I admit that I would never have consciously associated "Indian" and "Christmas." The music is Christmas, but the instruments are mainly Indian. The sounds are rather Celtic which is why I like them. "Jesus, Jesus Rest Your Head" is my favorite selection from this collection. A favorite from this collection is "O Come, O Come Emannuel." Now this is interesting! 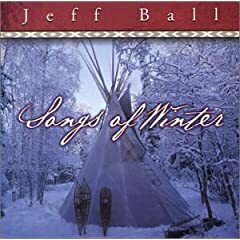 The vocals in this CD are sung in ten different Native American languages including Navaho, Oneida, Lakota, Lumbee, and Ojibwe. "What Child is This" is always a favorite of mine. In any language. This one is in Cherokee. At our recent Christmas tea, we had on display all kinds of nativity scenes. I thought of you when I saw the Native American one; the stable was a teepee and the animals were wolves,buffalo, etc. Very unique!